Target: Development of geothermal doublet, CAL-GT-04 & CAL-GT-05. 2nd geothermal project in the region of Californië. Role of WEP: WEP was responsible for the well design / engineering and drilling supervision / management during the execution of the project. The doublet consists of two wells CAL-GT-04 and CAL-GT-05. GT-04 is the producer and GT-05 is the injector. A successful productivity test on GT-04 and the injection test on GT-05 provides a good perspective on the exploitation of geothermal heat for the users. Well CAL-GT-04 was finalized at the end of January 2016. 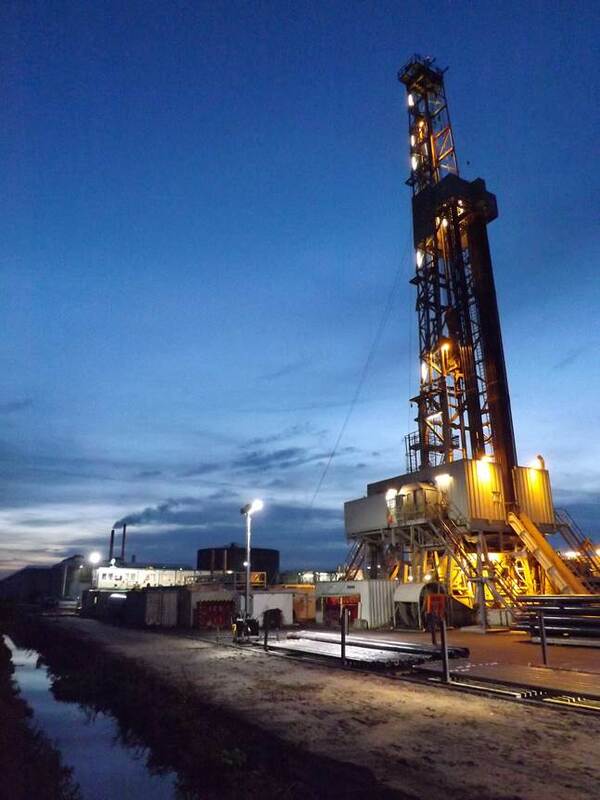 Well CAL-GT-05 was drilled directly after the successful well test on CAL-GT-04. Well CAL-GT-04 was finalized at the end of January 2016. After completion, a successful productivity test approaching flow rates of up to 375 m3/hr and 80°C water temperature, was realised. During the drilling phase over 1000 meter of reservoir section was drilled. Several cavities were expected and encountered while drilling. In order to overcome risks of not being able to find the original wellbore back, Enhanced Casing Installation (ECI) technique was used. ECI was demonstrated in the project and improvements were made. Several types of bits were used to find out the best bit to drill the abrasive and hard rock characteristics of the “Kohlenkalk” formation (Carboniferous Limestone). 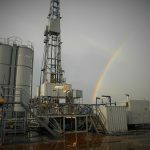 The completion string was installed, using ECI-technology, and was set past the Tegelen Fault, as being the primary target (primary productive horizon of this production well). After installation of the completion string at two levels perforations were placed in zones with the highest temperatures. This contributed to the high temperatures of the formation water that was produced during the well test. 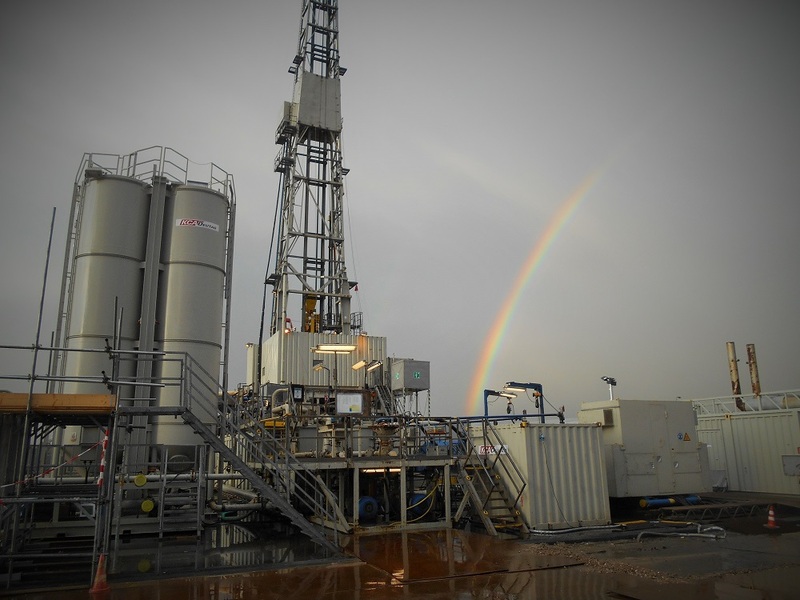 CAL-GT-05 was drilled directly after the successful well test on CAL-GT-04. This well was drilled similar to the first well, but in the opposite direction. In order to anticipate for the same drilling hazards as in the first well, ECI was prepared as a contingency matter. In the second well, the “Kohlenkalk” formation was found to be thinner as anticipated, and no losses were encountered while drilling the well to its final depth. 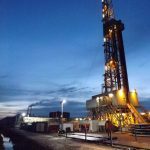 Final well depth was called at approximately 2400m MD, after drilling into several hundreds of meters of sandstone lithology (unofficially) called the “Condroz” formation (Devonian age). CAL-GT-05 was planned as an injection well. Subsequently, an injection test was done resulting in injection flow rates of up to 250 m3/hr. This provides good perspectives for the exploitation of geothermal heat for the neighboring greenhouses. The drilling campaign was ended at the end of March and the drilling rig (T49, KCA Deutag) left the site in April 2016. In the next month’s CLG will build the surface facilities in order to bring the geothermal heat to the greenhouses.